At Long Island Wood Renewal, LLC We Let Our Customers do the Talking! Your neighbors who have called on Long Island Wood Renewal, LLC have plenty to say about their great experience with us. No other kitchen remodeling company can match our combination of personal service and quality materials. 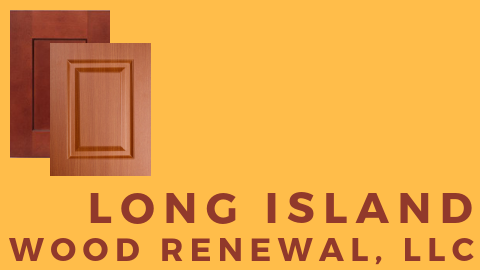 Read for yourself what your neighbors are saying about Long Island Wood Renewal, LLC. Jason and his team recently redid our kitchen cabinets and they came out great. The team is professional and thorough in all that they do.. I would highly recommend them for your upcoming home improvement. A note tosay thank you for the wonderful work done on my kitchen cabinets. They look brand new – I have gather so many complements from family & neighbors. Thank you again. Great job. Very cooperative and professional. My kitchen cabinets look great and I have neighbors in my condo who will be calling Jason because they like the work he did for me. Jason and his crew did an outstanding job. They showed up on time and finished ahead of schedule. Job prep was meticulous and the kithen was left cleaner than when they started. I would recommend Jason for quality of work, fair price, and efficiency. My wife was well pleased with the job and she is a fuss pot. Jason and all the worked provided an excellent job from the estimate until the job was done They were professional in every aspect of the job. They were neat and there was no odor. The cabinets were virtually brand new at a fraction of the cost to replace them I very happy we discovered Long Island Wood Renewal. Jason was always very accomadating estimate of time frame for work to be done was accurate. His crew was very careful while working , I had just installed new GRANITE counters and they were very well protected. Including the porcelain floors that were just installed. If there was any issue Jason was on top of it immediately. I would most definitely recommend using his services. He was a joy to work with very knowledgeable giving suggestions as needed.